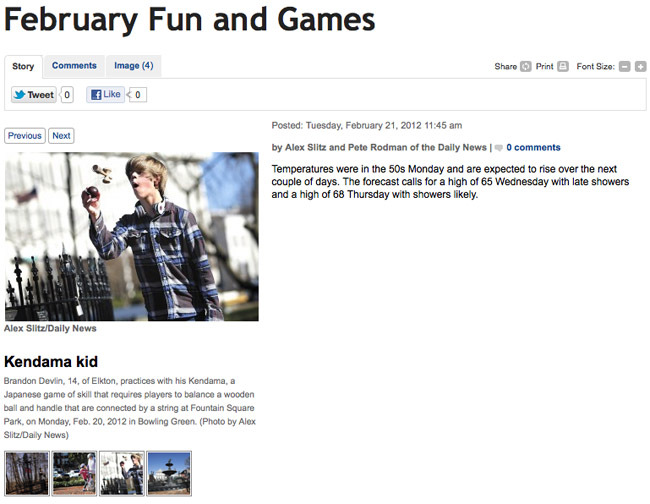 Brandon Devlin Reppin’ Kendama in the Newspaper! Brandon sent us this article that was featured in the Bowling Green Daily News. Props, and great article! You can view the Bowling Green Daily News at their website. Props to Alex Slitz for the photo too! Great shot.